While we often associate millennials with cutting edge technology products, seniors may be just as likely to benefit from smart, user friendly technology. For Kevin Gaunt, a graduate student in design from Sweden, simplified, limited-task robots (“bots”), may be ideal for older persons aging in place and in need of some help. Gaunt envisions bots that can review your household budget and place orders for you (including a little extra surprise to delight you) or even bots that detect the arrival at your door of a nosey neighbor you’d prefer to avoid. 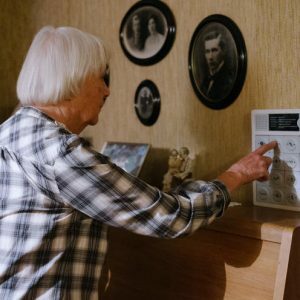 In essence, his bots of the future provide human-like companionship that may be just the sort of stimulation and interaction that seniors living alone could use. To get a peak of Gaunt’s futuristic vision, Read Here.